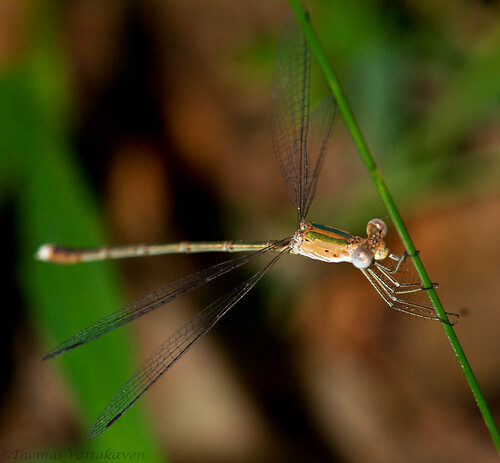 The Emerald Spreadwing Damselfly(Lestes elatus) is a medium sized damselfly, having a brown body, with green thoracic stripes on the upper side. Their wing spots are black. 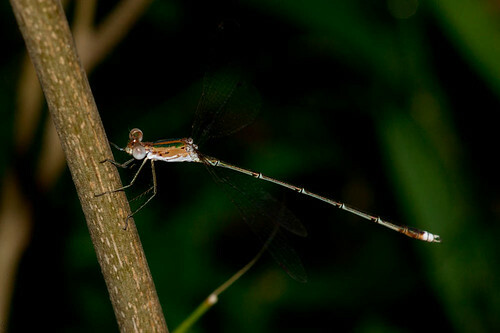 The female is very similar to the male, but it is paler and the iridescent green is not as prominent. 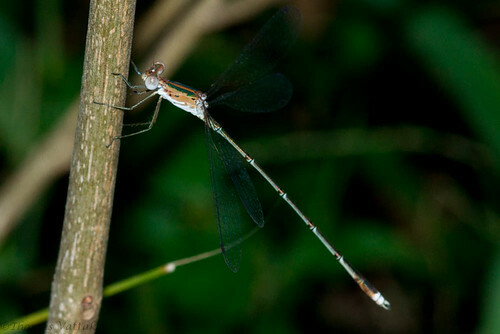 These damselflies sit among plants, with their wings open. They are weak fliers but are very alert and are difficult to approach.